Run a shrinking company for little more than a year and then express privately a desire to run a competing business that is 10-times bigger? This according to 'sources' and unattributed mental gymnastics from popular tech blog Business Inisder. Ah, the rubrik of business news. 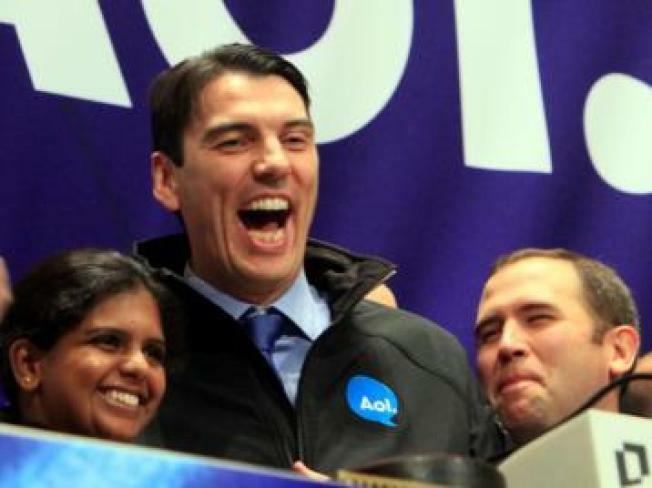 The Business Insider is reporting that private-equity firms have tapped AOL's Tim Armstrong, CEO for all of 18 months, about his interest in running a new, re-organized Yahoo. Of course, Yahoo just reorganized last week when three top executives quit, and they're still trying to find their new cubicles, but that won't stop the speculators from a'speculatin'. A Yahoo-AOL merger would make sense in two ways: cost-cutting and enormous scale. AOL has been a market-cap shrinker for a while (not-so-great name recognition). Yahoo has long been under fire to define exactly what it is (hola, Jerry Yang). So maybe, like in chemistry, these two negative-leaning stocks can bond to become a positive? Maybe. Naysayers think that private equity wouldn't work for a new, improved Yahoo, mostly because of its board's responsibility to shareholders. In that, they're responsible for not screwing over the shareholders. Despite Carol Bartz's best efforts. Either way, Yahoo stays in the news for not being able to shed its perpetual Sword of Damocles ... only this time the sword is more of a Tony Robbins-looking, privately funded and highly ambitious chief executive from a rival corporation.